J&L X-Press Fleet Management Solutions offer strategic transportation optimization services that help you deliver assets safely, on time, and within budget. Rising fleet costs, ineffectual asset utilization, inefficient routing, disordered route assignments, and empty backhauls can dramatically cut into your company’s bottom line. J&L X-Press fleet management offers transportation planning and execution services – including dynamic route optimization, maximum asset utilization, and real-time information sharing – that eliminate these costly inefficiencies. J&L X-Press dispatch optimization offers ongoing evaluation and allocation of resource assignments and loads, based on up-to-the-minute knowledge of conditions and events. By providing 360-degree visibility and integration of the entire transportation network, J&L X-Press Fleet Management Solutions can help you manage fleet operations more productively. 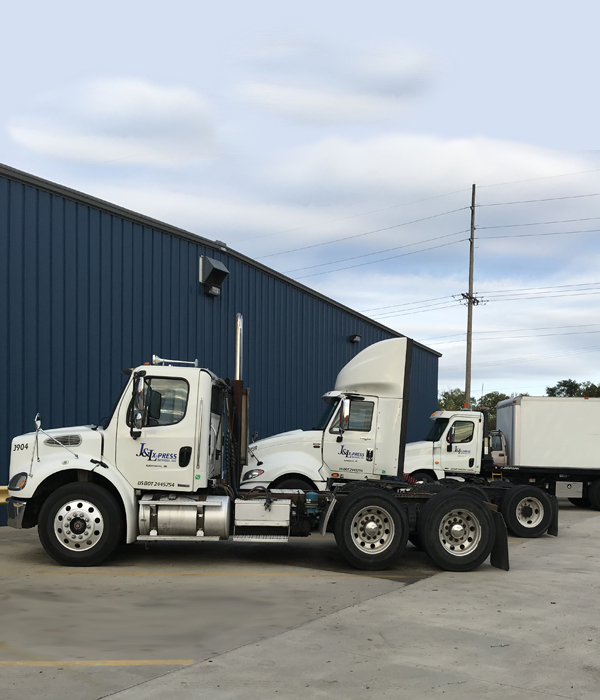 Whether you are utilizing private, dedicated, or 3PL-contracted fleet services, J&L X-Press fleet management can maximize your transportation network to help drive profits while also improving efficiency.